Possessing the extraordinarily sharp Hasselblad camera, the impressive new DJI Mavic 2 Pro continues to exceed our expectations. In fact, it could be the best all-around camera drone on the market. Hands down. It covers all the bases needed for an entry-level professional drone. We absolutely love it! Swiss-made Hasselblad cameras are world famous for quality and precision. In fact, Hasselblad provided cameras to capture the moon landings some 50 years ago! Pretty good track record, right? We think so. The Hasselblad on the Mavic 2 Pro boasts a full one-inch sensor that shoots 4K video and 20-megapixel stills. To those who are new to cameras, this is some serious clarity and contrast. For reference, the DJI Phantom 4 Pro has a similar camera. However, the Hasselblad on the Mavic 2 Pro is actually better than the Phantom 4 Pro. So, there you have it. A smaller, more portable drone with a better camera! You can rest-assured that your images and video with the Mavic 2 Pro will be spectacular. 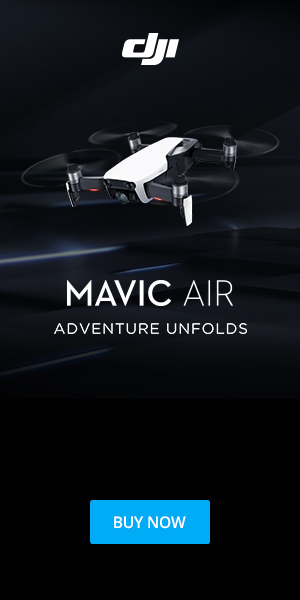 The Mavic 2 Pro’s obstacle avoidance capability is close to that of much more expensive camera drones. With a total of 10 sensors, it can now sense obstacles in the front, back, top, bottom, and each side. Whereas the obstacle sensing has been upgraded from the previous model, it is important to note that the right and left sensors only work in Active Track and Tripod modes. The Mavic 2 Pro’s motors are more powerful yet still quieter than the already quiet original Mavic Pro. Even with the upgraded “quiet” props that came with the Mavic Pro Platinum edition, the Mavic 2 Pro motors themselves are quieter, making for an even more enjoyable flying experience. And the whole “feel” of the Mavic 2 Pro is sturdier and more robust than its predecessor. You can feel it from the moment you unfold the arms and props. For those who used the Mavic Pro for commercial purposes, like inspections and other commercial services, the Mavic 2 Zoom option might a perfect upgrade for you. Instead of the Hasselblad, the Mavic 2 Zoom has a 12-megapixel camera coupled with a crisp 2X optical zoom sensor making it easier than ever before to get high resolution photos in those hard-to-reach places. So, if you were a fan of the Mavic Pro like we were, we recommend upgrading to the new Mavic 2 Pro or Mavic 2 Zoom. These two camera drones have the same portability and maneuverability with upgrades that remind us of flying drones that are much more expensive. For around $1,500, you can’t go wrong with a super sharp 20-megapixel camera, high-tech obstacle avoidance, and host of other upgrades and features. 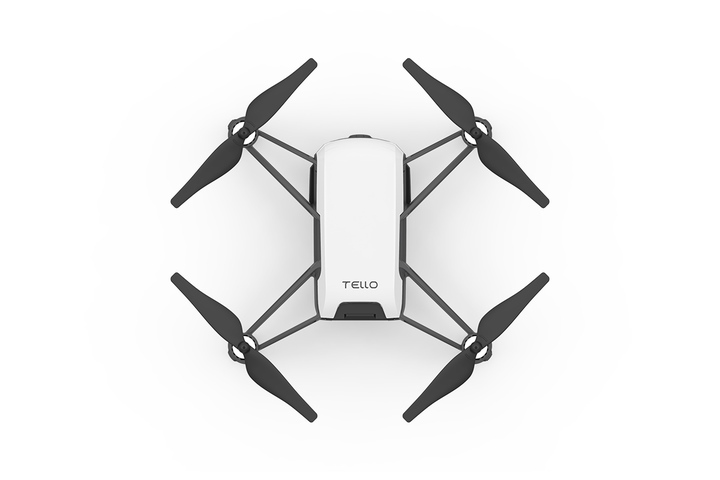 If you’re searching for the perfect introductory drone, look no further than the Tello by Ryze. This new quadcopter is making leaning to fly easier than ever before. Just pull out your smartphone, open the Tello app, and launch—that’s it! Building off the massive success of the Mavic series, DJI has upped the ante in the consumer drone market with the DJI Mavic Air. This camera drone takes the already diminutive Mavic, and makes it even more compact. It also features 8GB of internal storage, an updated 3-Axis Gimbal Stabilization System, and a top speed of 43mph in Sport Mode. The DJI Mavic Air does offer a bit less flight time than the Mavic Pro 2, but depending on your needs and the lower price point, the smaller size may more than make up for the tradeoff.